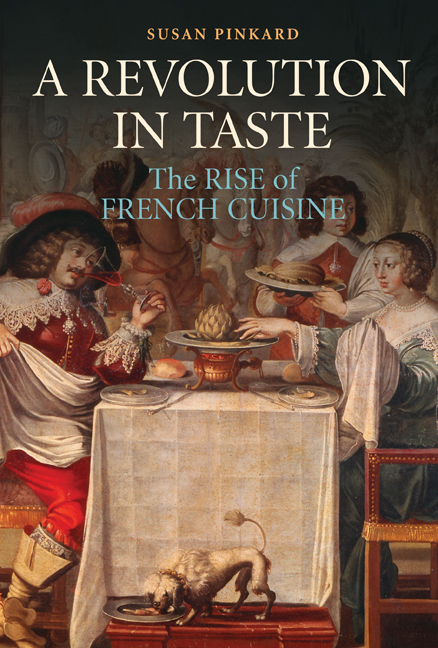 According to legend, the turning point in the development of French gastronomy was 1533, when Catherine de’ Medici, daughter of the famous Florentine family, married the future King Henry II of France.The suite of servants who accompanied her north from her native Tuscany included chefs, who brought the recipes and techniques of Italian cooking with them.These dishes were unlike anything served in France at the time and they touched off a culinary revolution. Versions of this story have been reprinted countless time since first surfacing in the 18th century and they have also entered into popular oral tradition.Whenever I mention to a group of acquaintances—in France or even here in America—that I write about the history of French cuisine, somebody inevitably brings up Catherine and her cooks.But the story is a fiction, as a little history will show. In the Renaissance, elite households throughout Latin Christendom served food that was complex, spicy, and sweet, much like Moroccan cooking is today.The techniques, equipment, and many of the seasonings used in this style of cooking had been part of European practice since the antiquity or dated, at the latest, from the spread of Muslim influence in the High Middle Ages.Thanks to these pan-European influences, the kind of food that Catherine encountered at the French court was identical in its fundamentals to the cooking she grew up eating in Florence.There was no such thing as “French” or “Italian” cuisine in the 16th century.Even if the cooks who accompanied Catherine on her journey north remained in France (and there is no clear evidence that they did), their recipes would have fit right in to established traditions.